Will you topple the Tipsy Tower? Tipsy Tower is the nerve-jangling drinking game that will have everybody on the edge of their seat. The rules are simple: players take it in turns to remove a block from the tower, and if anyone knocks the tower down, that player must do a shot as a forfeit! 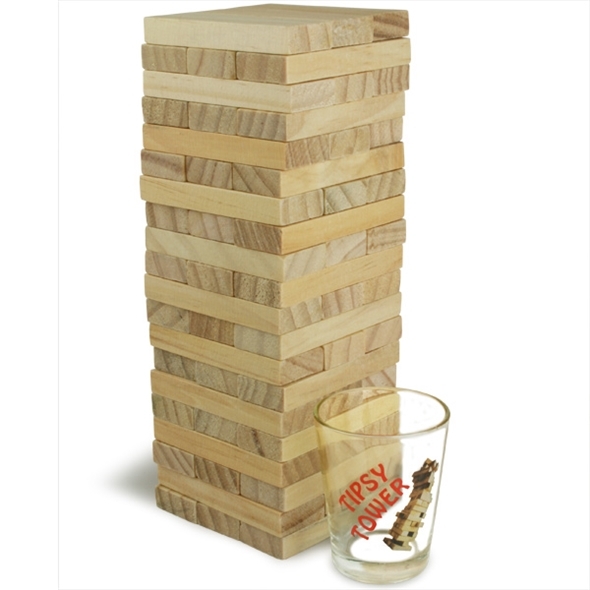 The Tipsy Tower drinking game includes 60 wooden blocks and 4 shot glasses (each printed with the Tipsy Tower logo). All you need is alcohol and a few people to play with! More can play if you have extra shot glasses! The Tipsy Tower drinking game is perfect for pre-drinking sessions and other small, boozy gatherings. 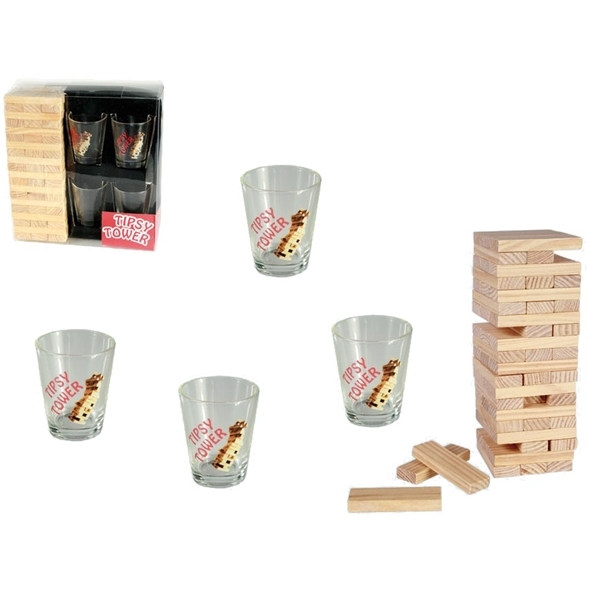 The set includes 4 x shot glasses, 60 x tower blocks, and 1 x instruction booklet.